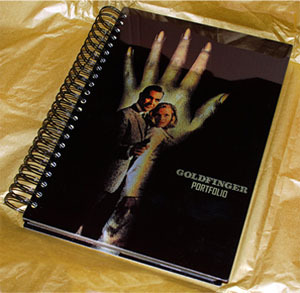 builds into the ultimate 380-page definitive GOLDFINGER collectable! Goldfinger is without doubt the most famous, iconic and memorable of all the James Bond films, and on its release in 1964 it set movie screens alight around the world with a heady cocktail of creativity that became an entertainment phenomenon; from its glittering opening credit titles designed by Robert Brownjohn, accompanied by Shirley Bassey belting out its brassy main title theme written by John Barry, Leslie Bricusse and Anthony Newley, through to the corpse of an unfortunate woman painted gold, a man with a deadly steel-rimmed flying hat, an Aston Martin DB5 ‘with modifications’, a Bond Girl whose feline name caused much trepidation, death by laser beam, a larger than life villain with the Midas touch, and the golden gleaming cathedral-like interior of Fort Knox, as imagined by brilliant Production Designer Ken Adam – with all these elements its hardly surprising that the heady concoction that is Goldfinger impressed so many in 1964, and now, over 50 years later, remains a popular evergreen entertainment for successive generations of film fans and Bond enthusiasts alike. – including two scenes shot but cut from the film and featured here for the first time! Nadja Regin, Margaret Nolan, Shirley Eaton – and the ‘voice of the Bond Girls’, Nikki van der Zyl. Each volume is priced at £19.99* (plus P&P) - order available volumes below. 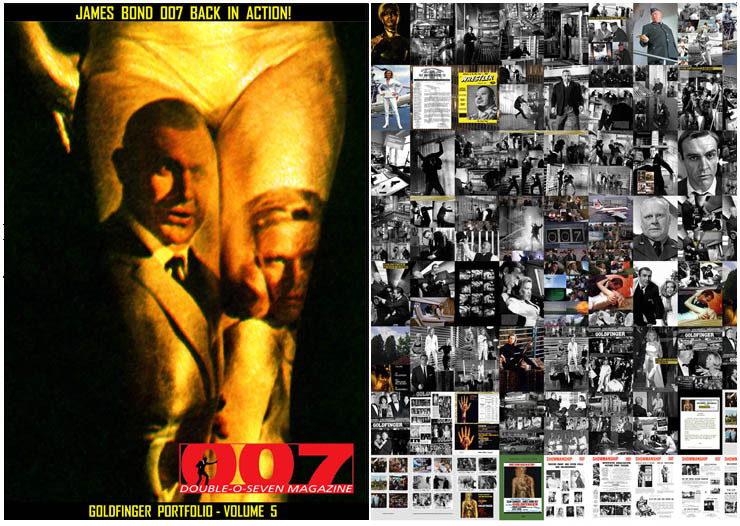 *Each new issue of 007 MAGAZINE published, along with all back issues, are cost out as individual price modules in order to keep our administration, postage, and handling costs within our economic strategy, therefore we are unable to group publications for sales despatch. This administration policy not only safeguards 007 MAGAZINE & ARCHIVE Limited, but also our customers from bulk losses caused by the international postal services. IMPORTANT MONEY-SAVING OVERSEAS SALES INFORMATION! 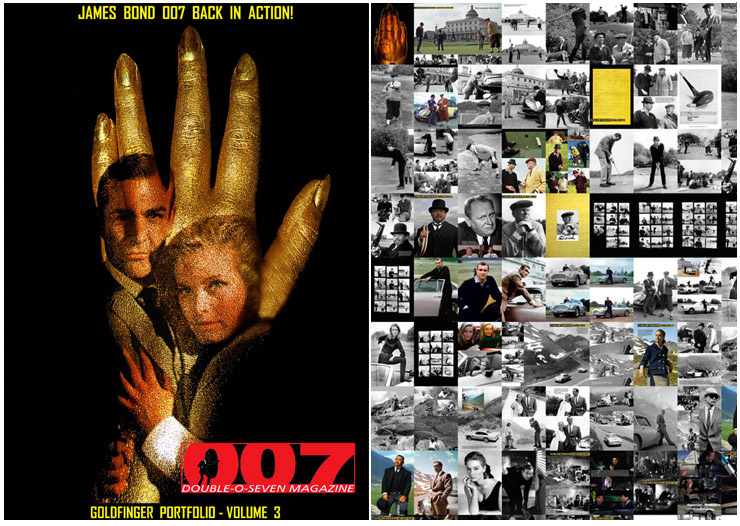 • Volume 1 of a 5 volume set of A4 76-page Limited Edition publications – builds into the ultimate 380-page definitive GOLDFINGER collectable! • Each 76-page volume will be a print to order quantity only! • Volume 1 available now! • All new exclusive profusely illustrated interviews with Bond Girls: Nadja Regin, and golden girls Margaret Nolan and Shirley Eaton. Price £19.99 (plus p&p) IN STOCK AND SHIPPING! Volume 2 of a 5 volume set of A4 76-page Limited Edition publications – builds into the ultimate 380-page definitive GOLDFINGER collectable! 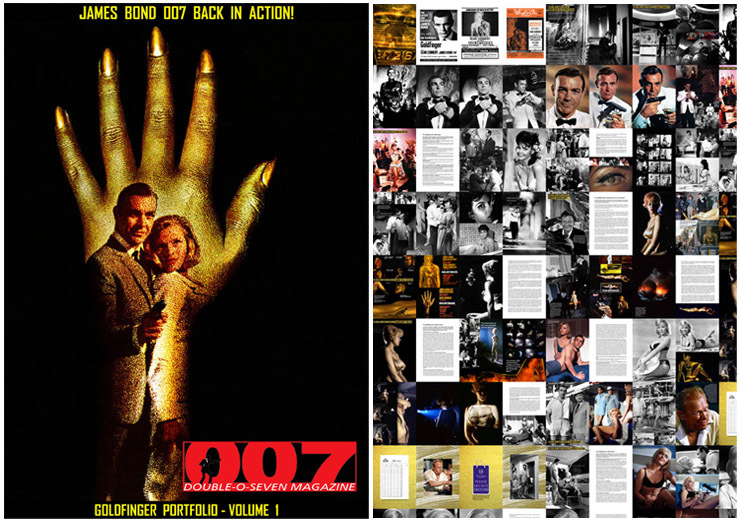 • Volume 3 of a 5 volume set of A4 76-page Limited Edition publications – builds into the ultimate 380-page definitive GOLDFINGER collectable! • Volume 3 available now! 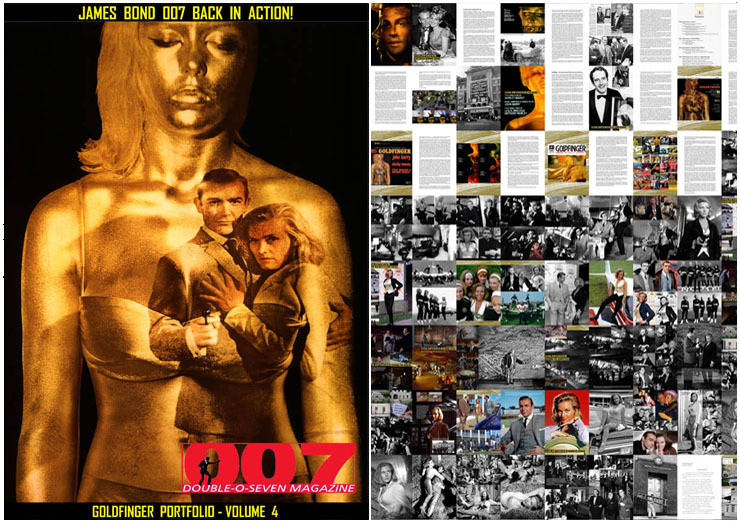 • Volume 4 of a 5 volume set of A4 76-page Limited Edition publications – builds into the ultimate 380-page definitive GOLDFINGER collectable! • Volume 4 available now! 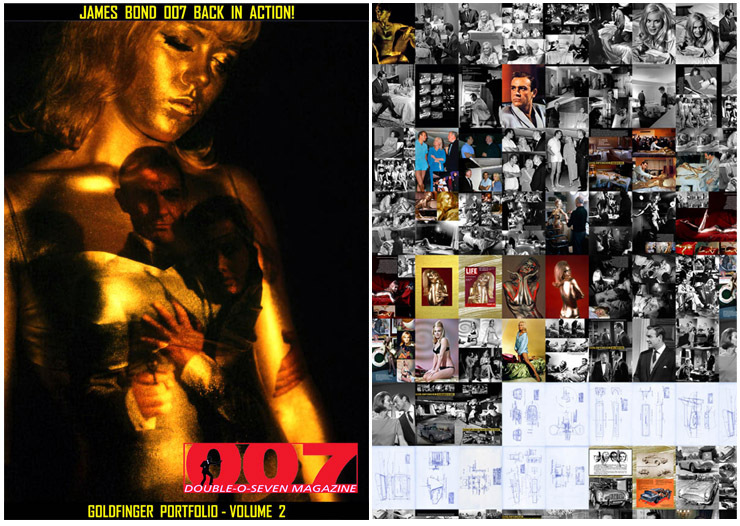 • Volume 5 of a 5 volume set of A4 76-page Limited Edition publications – builds into the ultimate 380-page definitive GOLDFINGER collectable! • Volume 5 available now!